Silpiyani is the youngest child of seven. They live in a small house near Peduli Anak. Her father is a horse cart driver and her mother works in a rice plantation. They don’t earn a lot of money. 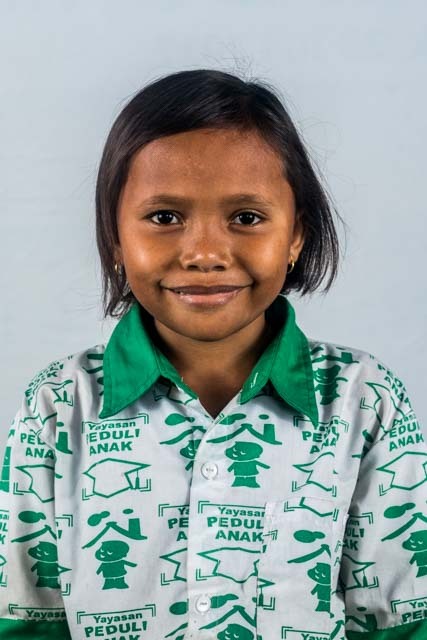 Silpiyani was referred to the Peduli Anak Primary School in order for her to get a better education and get taken care of during the day. She participates in all activities at school with enthusiasm. She likes reading and singing. She wants to be a teacher when she grows up.